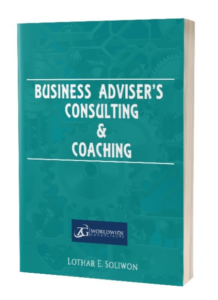 Business Adviser’s Consulting & Coaching gives companies an overview of how consultants and coaches can improve their businesses and how to hire the right experts. Many people want to know more about business consulting and coaching. Both consulting and coaching play an increasingly prominent role in the business world in the US and globally. 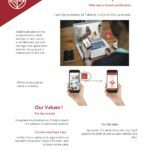 Business Adviser’s Consulting & Coaching addresses the confusion about what business consultants and coaches actually do and how their ser- vices overlap. 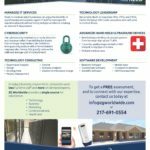 Since organizations commonly face problems they have been unable to solve internally, they may be thinking about getting outside help. 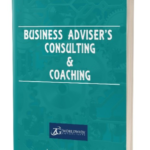 Business Adviser’s Consulting & Coaching gives an overview of how consultants and coaches can improve their businesses and insight into how to go about hiring the right experts to do this. Business Adviser’s Consulting & Coaching is independently published by Amazon. Lothar E. Soliwon is the President & CEO of ZG Worldwide Consultants, headquartered in Springfield, Illinois US. Originally from Germany, he was formerly a marketing manager, planner, consultant and administrator with the Illinois Department of Transportation in Chicago and Springfield. Before that he was an encyclopedia writer in Chicago. Lothar has a liberal arts undergraduate background in geography and holds an MBA and Master of Social Sciences from the University of Illinois. He describes himself as a business generalist.